In my opinion you can never have enough oversized t-shirts, I think I must own at least fifteen, most of them are monochrome too. T-shirts can go with everything, and paired with a beanie or fedora, I think they can create the perfect relaxed-yet-cool look. 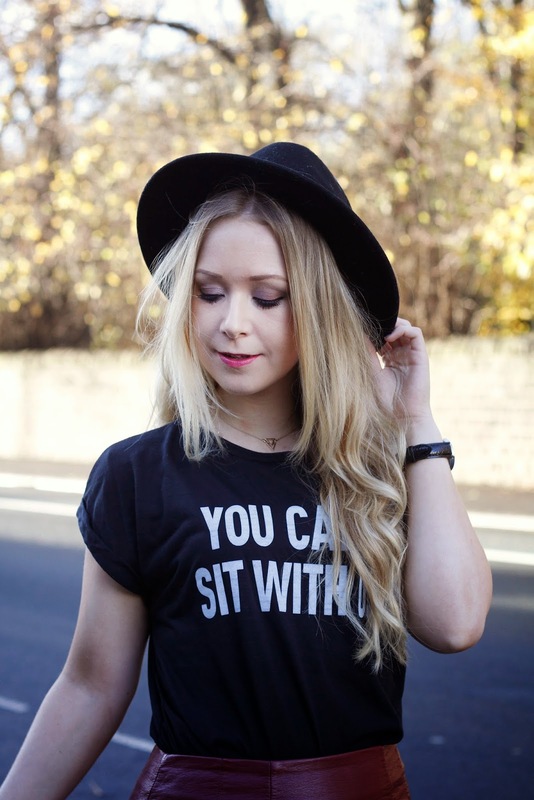 Recently I received this 'You can't sit with us' t-shirt from Wearall which is a welcome addition to my collection. 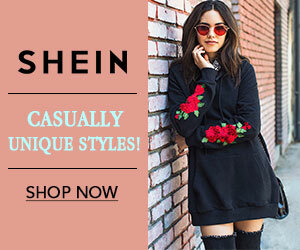 I absolutely love the Mean Girls reference which is what stuck out to me when I spotted it on the Wearall website. Instead of my day to day look of an oversized t-shirt, leggings and a boyfriend coat, I dressed up a little today, with my oxblood pencil skirt from H&M and some platform ankle boots from Schuh. 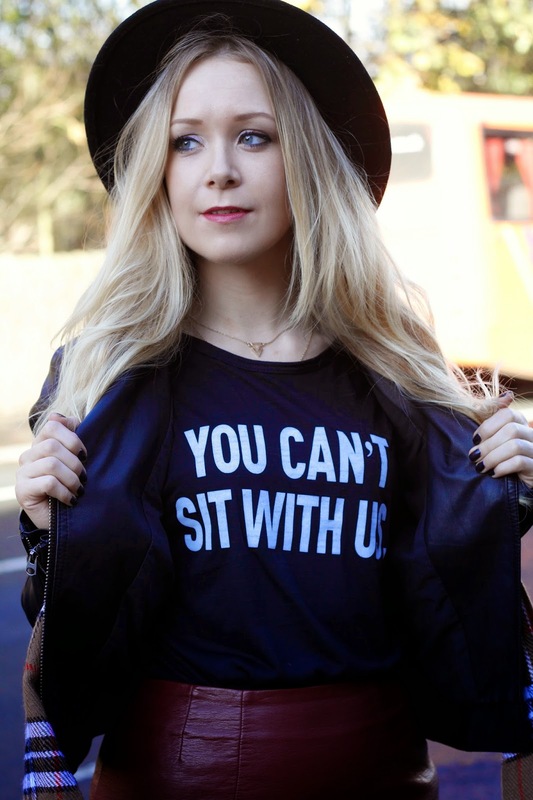 I do love a slogan top and you can't go wrong with a Mean Girls reference :) that skirt is gorgeous too! Ooh looking sassy girl, love the colours in this outfit! 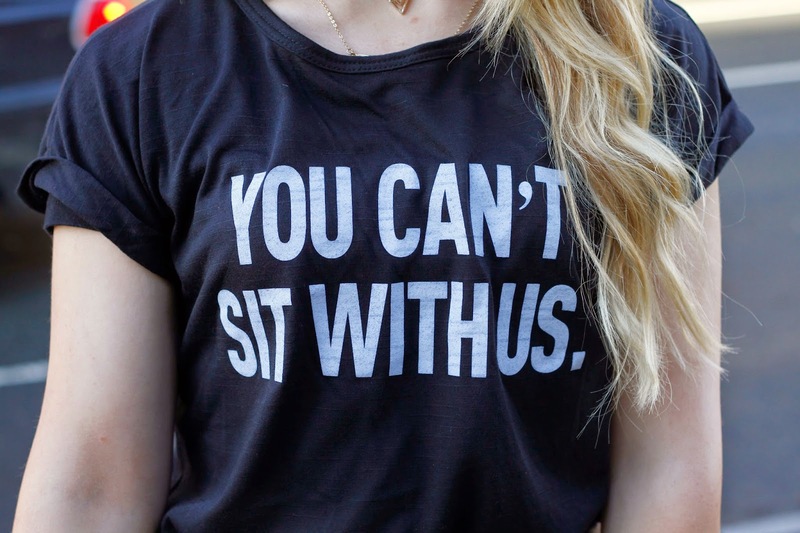 Slogan tops are just the best, love this one! Adore the colour of that skirt too! That is an amazing top! And now I WANT one of those hats! Aww you look very pretty girl! LOVE this!! Your skirt is awesomeee! 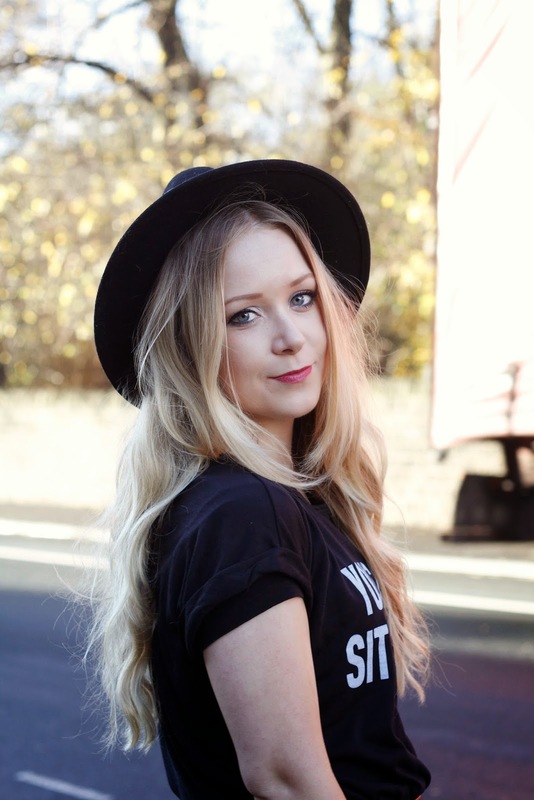 Love the way you've styled the tshirt, and I adore that fedora! 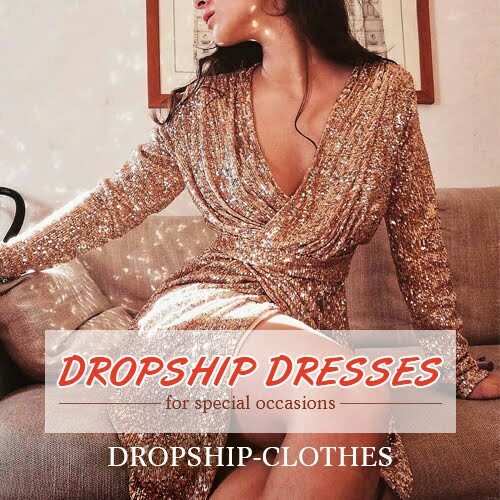 You look amazing, loved the post too!